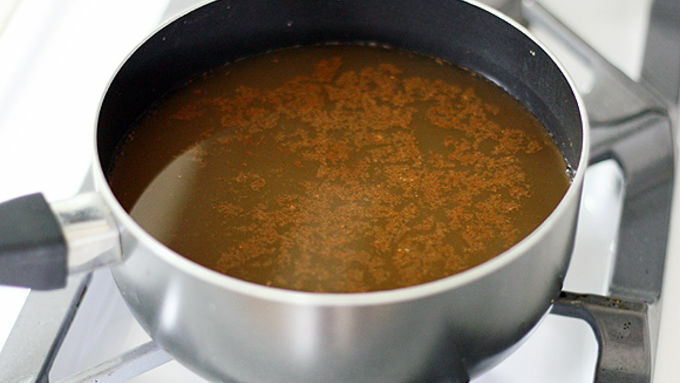 Stir water, apple juice, cinnamon and nutmeg in a medium saucepan. Bring to a boil. 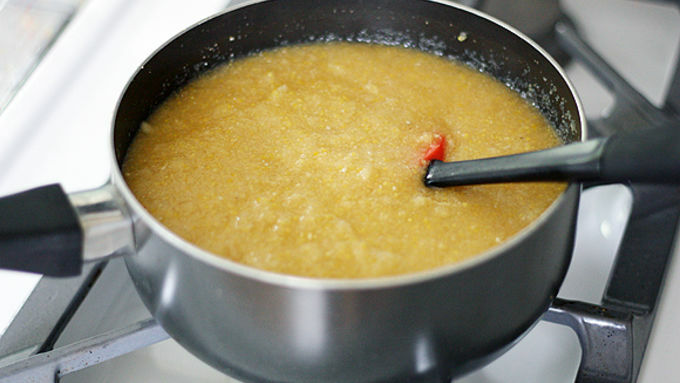 Reduce heat to medium; stir in polenta and grated apple. Stir 3 to 5 minutes until thickened. Remove from heat. Stir in chopped brie cheese, sage and salt to taste. Serve topped with chopped apples and sage leaves. There’s this thing between polenta and me. We just get each other. I like easy-peasy dishes; polenta is just that. I like foods that are filling but not unhealthy; polenta comes in for the win. I like comfort food that I can customize, and eventually spoon out of a bowl and into my mouth; polenta is there for me. 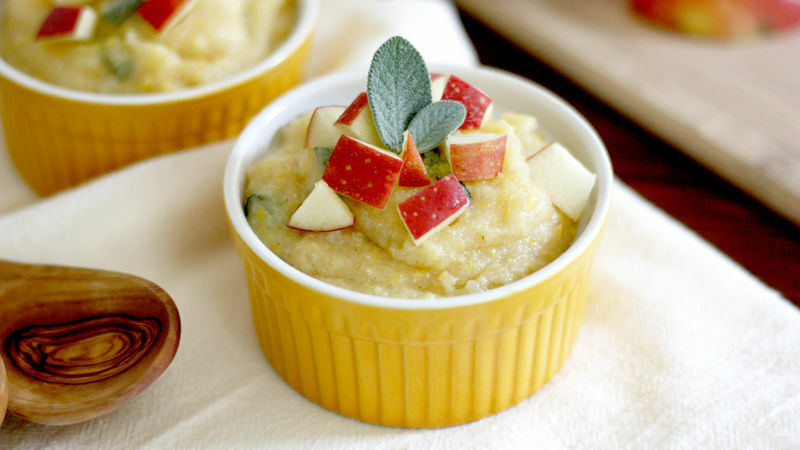 So you can imagine how often I’ve made and eaten this Apple-Brie Polenta with Sage. The answer is somewhere between once and eleventy billion times – and it may or may not skew in the eleventy billion direction. OK but seriously, can you just take a look at that stuff up there? Just a lil’ gander? Does it not look like a pretty darn tasty side dish, something that would pair awesomely with pork chops or chicken or a roast? That’s a rhetorical question. So since you’re probably already foaming at the mouth with how good this looks, let’s cut to the chase and make some polenta! 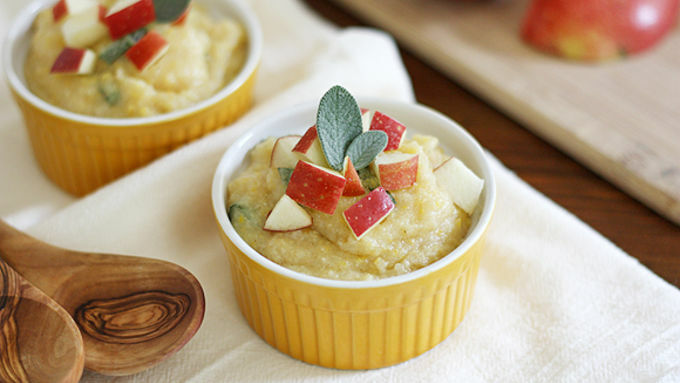 Serve in pretty little ramekins and top with chopped apples and more sage leaves for garnish and flair. It’s OK if you want to skip this part, though – it’ll probably only last about two seconds anyway. 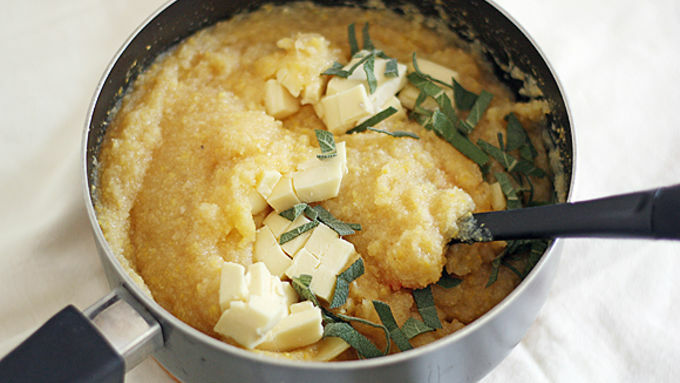 Oh, polenta -- you and your easy-peasy, filling, spoonworthy goodness. You just get me.